With a tantalizing appearance and an irresistible taste, Celebrity Apple and Cinnamon Goat Cheese is just as tempting as homemade apple pie. Made at the renowned Mariposa Dairy, with 100% pure and fresh Ontario goat’s milk, Celebrity’s award-winning silky-smooth chèvre is first enhanced with a luscious caramelized apple infusion for an extraordinary tangy-sweet taste. Each log is then hand-coated with scrumptiously caramelized whole apple pieces that have been skillfully spiced with an alluring cinnamon and nutmeg mixture. To create such a delightfully light, creamy, inviting and memorable flavor, only premium quality ingredients are selected with careful attention paid to blending the exact right proportions of each. 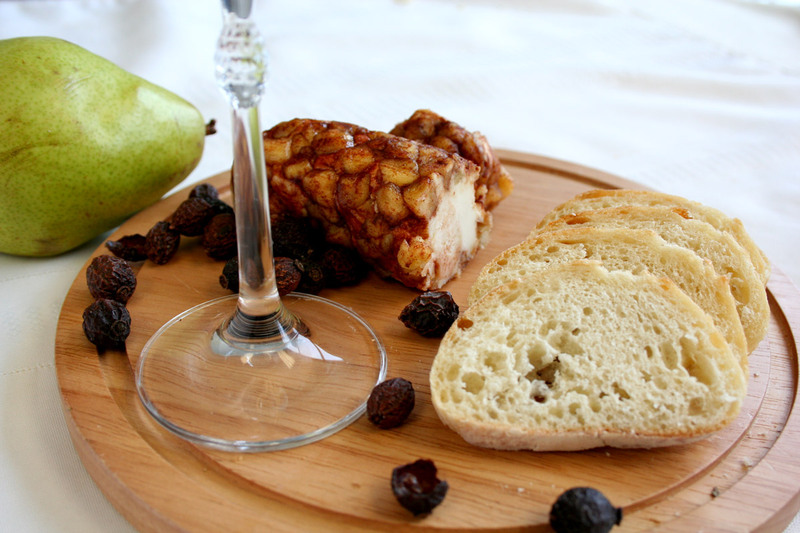 Celebrity Apple and Cinnamon Goat Cheese is an irresistible twist on homemade tradition. *Suitable for vegetarians and certified COR kosher. Application: Very versatile and eye-catching, Apple and Cinnamon Chèvre is a stunning addition to brunch or dessert cheese trays. It is beautiful sliced for crackers or crusty bread and is also perfect crumbled in salads, spread on bagels, baked on chicken, used as a filling for turnovers and croissants, mixed into cakes and pies, creamed into potatoes or added into omelets. Pairings: Try a fresh and lively Sauvignon Blanc or a delightful Fruit Lambic beer. Tania Toscano is smooth and slightly crumbly in texture with a delightfully mild, creamy-sweet and nutty taste, enhanced by earthy undertones and lingering caramel notes. The secret to Lenberg Farm’s Tania Toscano success is in every bite of this exceptional farmstead cheese. Application: A great alternative to Italian Pecorino cheeses, Tania Toscano Sheep Milk Cheese adds farmhouse appeal to any cheese tray, and intriguing artisanal flavor to sandwiches, paninis and salads. Drizzle with honey for a delectable dessert or appetizer. Pairings: Try with a youthful fruit forward Chianti or a Barbera d'Asti. Sometimes referred as “Middle Eastern pasta” or “ancient fast-food,” this highly nutritious Middle Eastern and Mediterranean cuisine staple is minimally processed, retaining the bran on the outer part of its wheat kernel, which provides the chewy texture and nutty flavor particular to bulgur wheat. Since bulgur comes parboiled (partially cooked), it is incredibly easy and very quick to prepare, in fact bulgur can be reconstituted simply by soaking it in water, without any cooking. Naturally low in fat, rich in minerals like iron, and high in protein and fiber, Ozsari Bulgur Wheat is a medium grain that makes an ideal ingredient or foundation for healthy, low-calorie and filling meals. With a texture most akin to traditional couscous, Ozsari Bulgur Wheat can be used in place of rice, couscous, or any other whole grain, such as barley, buckwheat or quinoa. 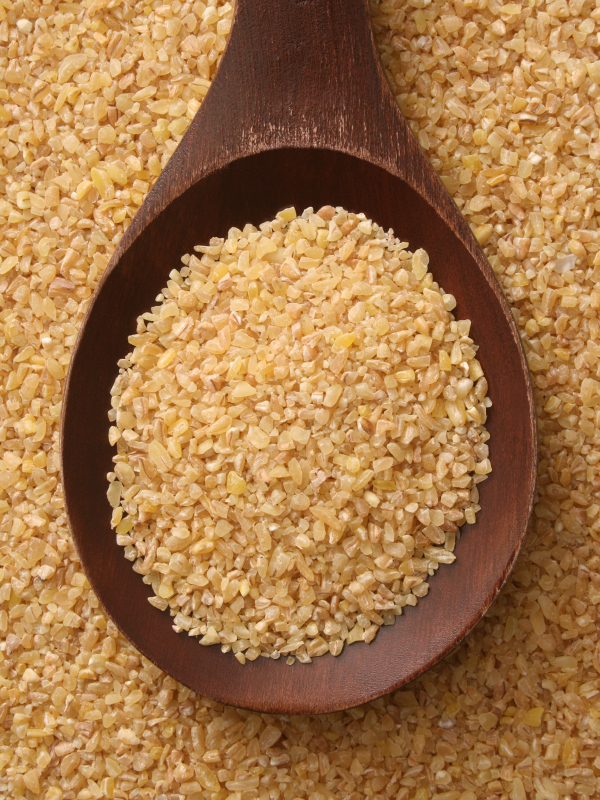 One cup of bulgur has fewer calories and more fiber than a cup of brown rice. Ozsari Bulgur Wheat’s classic, mild, nutty flavor is wonderful for cold salads like Tabbouleh, pilafs, soups, baked goods, stuffings or casseroles.